The 'little helpers' furniture collection, created by italian designer elena nunziata for her degree at the university of the arts, london, focuses on providing educational and engaging furniture for use by children. Nunziata reflects: "the project examines contemporary families and relationships of their members, analyzing how children engage with the domestic environment and their parents, with the purpose of turning ordinary chores into playful activities. 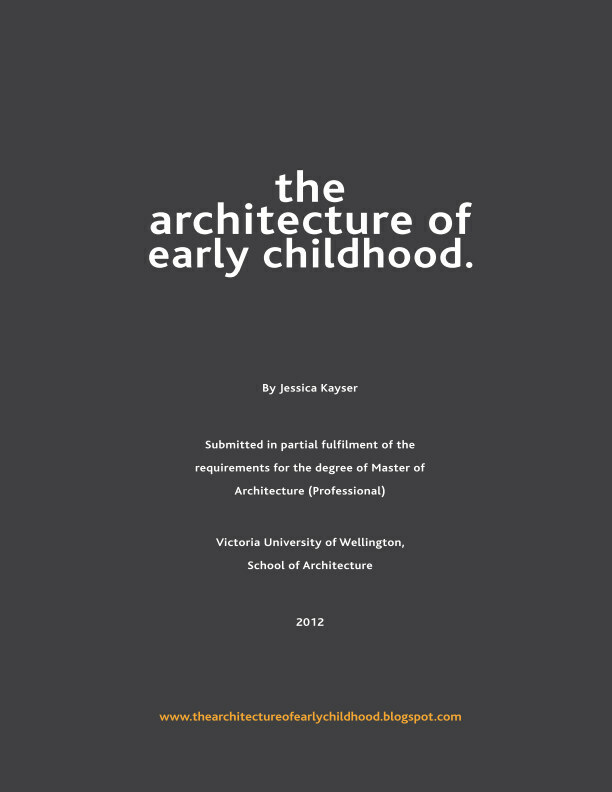 The relevance is on the one hand to improve how children interact within their space exploring their power of imagination, on the other to allow parents to build a bridge between their own needs and those of their children." 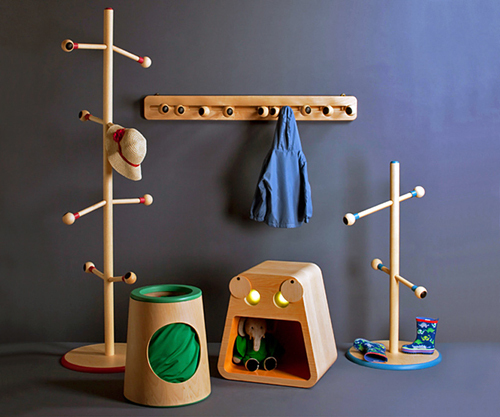 The 'paddy' coat rack collection has 'eyes' as knobs that can be spun around. 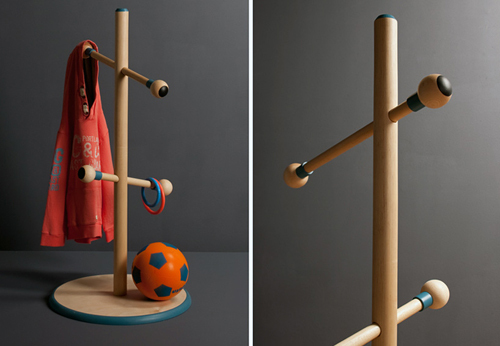 While on the coat stand, children can adjust the rods' position through the central pole. The eyes of 'melvin the magic bedside table' can be rotated up to reveal lamps within, letting the device function as bedside lamp in addition to table surface and, owing to a cutout shelf, cabinet. Nunziata reflects that the table also serves metaphorically as a figure of a night guardian that watches over the child. The 'charlie' hamper is nicknamed the ‘dirty clothes eater’, who stores clothes in a lycra sack that allows clothes to accumulate until its belly is full. In this way, children have a visual indication of when it is time to load the washing machine with their parents. Love the coat racks, they are so cute. Where can I buy the Charlie Hamper from? They are very cool hey?